So today we were supposed to have a Non polish fiend do your nails. Well, I asked my husband and he said "yeah, no. Have Avery do it." Well I think my 3 year old painting my nails would probably be catastrophic sooooo.... I didn't do it! Whoops! 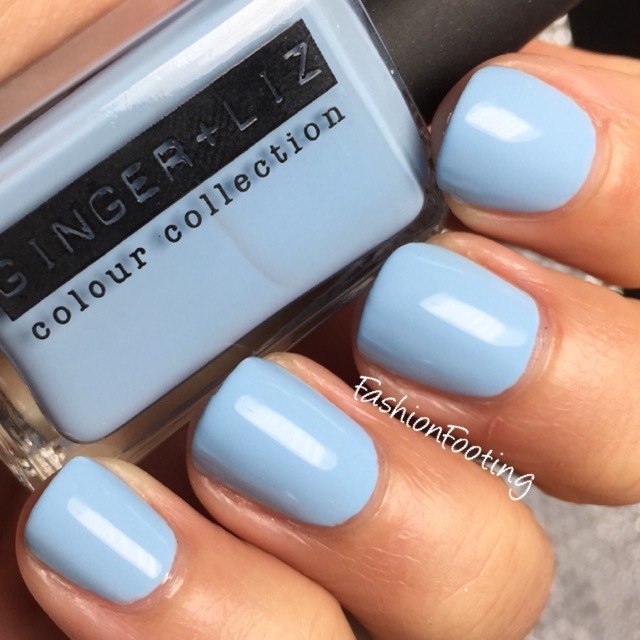 Instead, I am showing you a swatch of Ginger + Liz The Good Life, a beautiful pastel blue. This was opaque in two coats (plus topcoat) with a great formula! I think I picked this up at Ulta on clearance, which is where I usually look for the Ginger + Liz polishes, as they are around $12 each. I like to buy them on clearance but they are always very nice! !